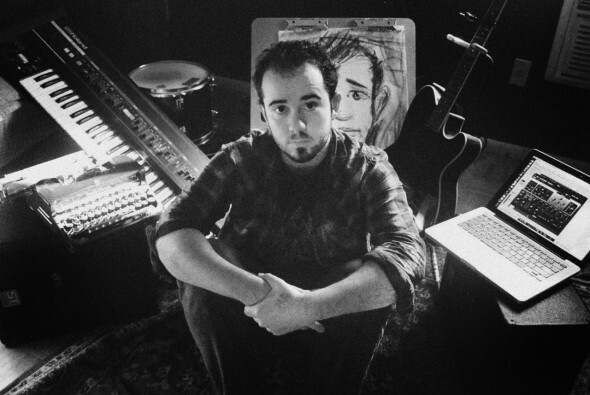 Chris Collins is a South Hadley composer, filmmaker, photographer and writer (whew!). He also is an amazing supporter of other artists. Chris runs the Nonsense Society, a website dedicated to exposing new artists to the world. He’s an unassuming, modest guy but when you look at the immense body of work he’s created your jaw just drops. His talent is beyond his years and his support of other’s work is inspirational to say the least. Listen, watch and read all about what Chris is about below. It depends on the project, but I’m (usually) trying to explore some sort of intense emotion I have or have seen. I don’t like creating things unless they make me feel weird in some way. I’d say my favorite feelings to convey are sadness, love, fear, joy, and intensity. Other times I am communicating a general mood or tone. I’m surprised at how creepy a lot of my work is. I’m obsessed with exploring/depicting worlds that are incredibly uncomfortable or dark. I want to make my audience feel something. I think feeling emotions you may have never felt before is awesome, so I think it’s a goal to give that to people. I’m not really sure how I’ll be able to do it in the long run, but I’m working on it. 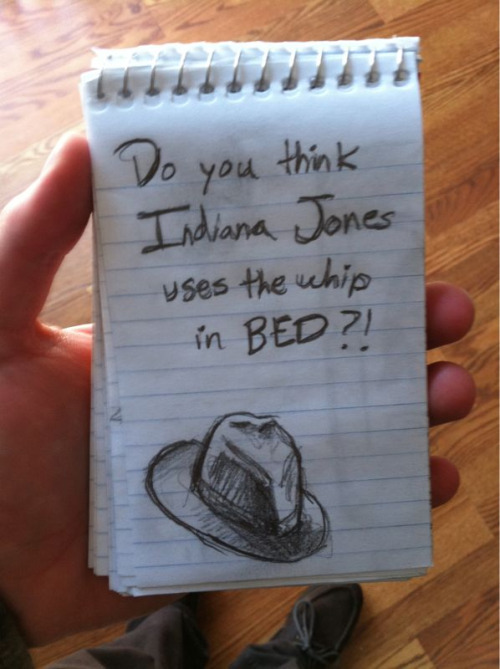 I’m not sure how to answer this question. Since this is a Northampton publication I’ll tell this story: One of my OLD favorite creations (Nonsense Thoughts) was created at the Sierra Grill in Northampton. I was being very anti-social and drawing all these little funny/emotional pictures and thoughts down on a notepad. I randomly decided to post it on the Internet and it became really popular. I published a book from the series, started a separate website for it, and got thousands of new fans. However, this is an “old” favorite project because I don’t feel it expresses me properly anymore. I change and evolve very often, and so does my work. I try to create a lot of community in art. 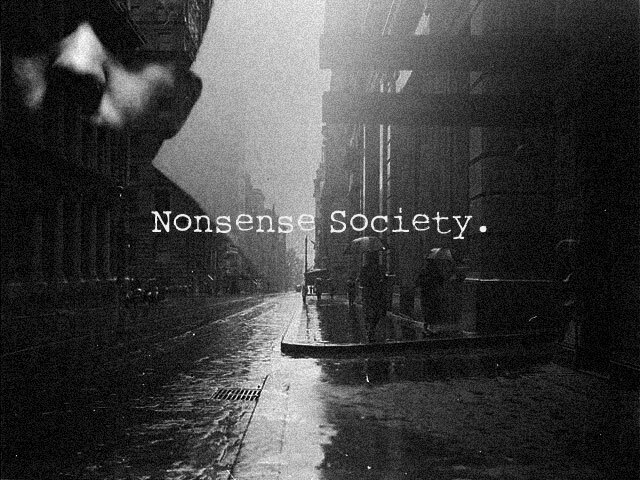 In 2009 I created the “Nonsense Society” which is an international community of artists. I spend a lot of time cultivating that community and trying to support the artists involved. I’ve seen a lot of artists (from all over the world) make friends after meeting through NS. Seeing them collaborate and become friends is amazing and touching. When it comes to my own work I try to inspire artists to use my work (for example, my royalty-free music composition project). I also think it’s important to be involved with other artists who are similar to you. If I ever feel I am drifting into the wrong circle, I start to move in a different direction. Community in art is so important. I get very frustrated with artists who hide their work because they are afraid of theft and criticism. Get out there. I’m more interested in the people of this area. The Valley is filled with really interesting people. Honestly, I’ve never been outgoing enough to get to know many people in the area. I’ve seen some amazing creativity from some amazing people. Most people around here support expression in every way, and it’s great. I think there is a lot I can learn from this area. In particular, I’d love to document (maybe film) what makes the area so artistic and unique.